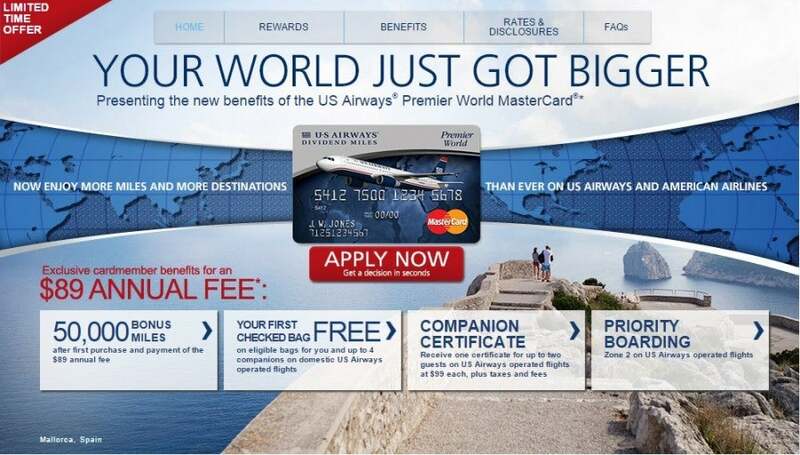 Last October, Barclaycard revealed its plans to convert existing US Airways Premier World MasterCard accounts to the new AAdvantage Aviator Silver World Elite Mastercard or the AAdvantage Aviator Red card following the imminent merger of the AAdvantage and Dividend Miles programs. Last month, Barclaycard began sending upgrade invitations to existing cardholders. While the actual card won’t arrive until later this year, last week I received my welcome packet detailing the complete card benefits. Mileage Earning: 3x miles on US Airways and American Airlines purchases, 2x miles on hotels and car rentals, and 1x on all other purchases. Elite Mileage Earning: 5,000 Elite Qualifying Miles for every $20,000 in annual purchases (up to 10,000 EQMs annually). Perks: First checked bag free for you and up to 8 of your traveling companions; priority boarding; 25% in-flight savings on food, beverage and headsets; 10% of your redeemed miles back up to 10,000 miles per year; annual companion certificate good for up to 2 guests at $99 each (plus taxes and fees) with $30,000 in purchases by your account anniversary; $100 Global Entry application fee credit; no Foreign Transaction Fees; chip-enabled for global acceptance; premium servicing with US-based customer service; MasterCard World Elite Concierge and Luxury Travel Benefits. The welcome packet put the most lucrative benefits up front: the Global Entry fee credit, the bonus mileage categories, and the EQM spending bonus. It also touts some of the World Elite MasterCard benefits, including the Auto Rental Collision Damage Waiver; Travel Accident, Trip Cancellation, and Baggage Delay insurance; and World Elite Concierge. The final page mentions the “unparalleled travel benefits” that will be available when the programs finally merge in the second quarter of this year. The exact date remains unspecified publicly, but sources tell me May 11th is the target. Presumably, the new Aviator cards will be sent out shortly thereafter. In the meantime, Barclaycard did send me a snazzy USB flashlight; you can’t use it to pay your bills, but it will come in handy on the road. 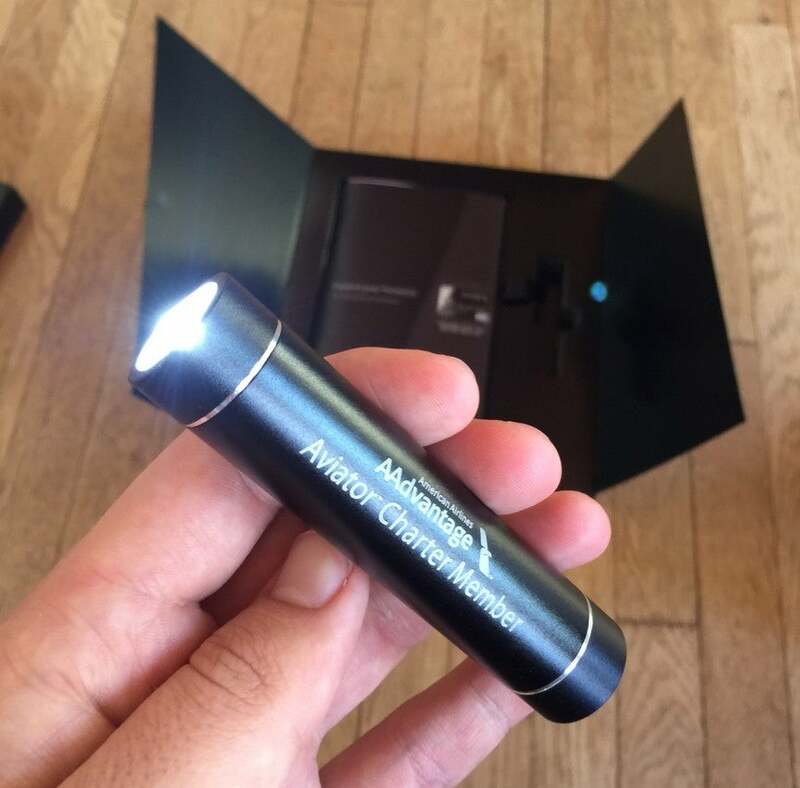 The welcome packet included a USB flashlight. As a reminder, you can’t apply directly for either of the Aviator cards. You must first apply for the US Airways Premier World MasterCard, which currently comes with a sign-up bonus of 50,000 miles after your first purchase and payment of the $89 annual fee. I’m enthusiastic about the Aviator Silver card for the 10% rebate on mileage redemptions and the potential to bank EQMs by hitting the spending thresholds. While the full details aren’t available yet on the $99 companion certificate, if it’s similar to the benefit on the current US Airways card, finding a good use for it won’t be difficult. 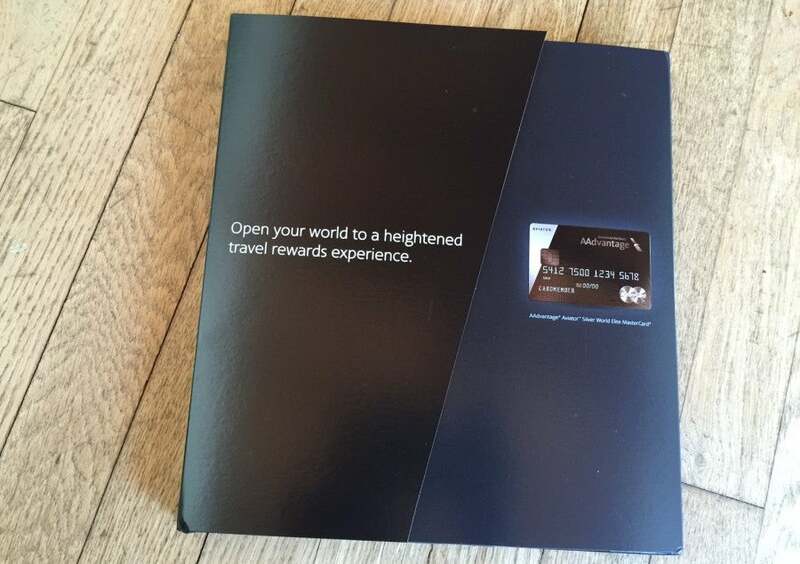 Get the US Airways Premier card, and you can upgrade to the Aviator card later this year. The Aviator Red card has many of the same benefits, but with less rewarding bonus spending categories, no companion certificate or EQM bonus, and less lucrative in-flight perks. It’s comparable to the current Citi / AAdvantage Platinum Select World Elite Mastercard, with an annual fee of $89 (instead of $99). It’s a good option for less frequent American Airlines flyers who aren’t adamantly pursuing elite status. Bottom line: I think the Aviator cards are solid options, especially if you spend heavily on airfare and incidentals. I’m looking forward to finally having the card in my hands, but in the meantime I’ll be putting spending on the US Airways card, since it will carry over to the Aviator and count toward the annual spending bonus thresholds.